As I pointed out in the article on the Scandinavian Dissociated Diet, the disadvantages of the Scandinavian diet are too great with regard to benefits. It is important to understand that if the disadvantages are greater than the benefits, then you have to wonder. In practical terms, is it wise to have a glycogen store at an almost perfect level if you have digestive problems (diarrhea …) ?! Thus, I rather orient sportsmen and sportswomen to adopt the Modified Dissociated Diet (RDM) much better tolerated which also allows a “glycogenic overcompensation”. from D-6 to D-4 is normoglucidic (between 40% and 50% of the Total Energy Intake (AET)) theoretically, contributions correlated with the energy requirements of the organism which are defined as ” energy needed to offset expenditure and ensure body size and composition consistent with the long-term maintenance of good health and physical activity appropriate to the economic and social context ” (World Health Organization, 1996). that of D-3 on day D is hyperglucidic as in the Scandinavian Dissociated Diet. Important, it is not useful to drink a beverage of the maltodextrin type 3 days prior to the test as demonstrated by my article: maltodextrin, useful or not? 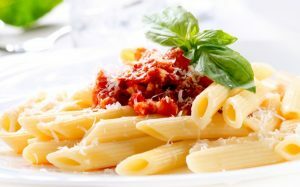 The amount ingested is correlated with the duration of the test: the longer the test, the greater the quantity of pasta (from 150 to 500 g, usually by dry weight of pasta, for example). At the same time, I recommend that this meal be composed of well digestive foods, organoleptic (taste, smell, texture …) by the sportsman by limiting too fibrous foods, foods with strong tastes (celery, asparagus, cabbage , salsify, pepper, leek, fennel …) in order to prevent the onset of digestive disorders during exercise. 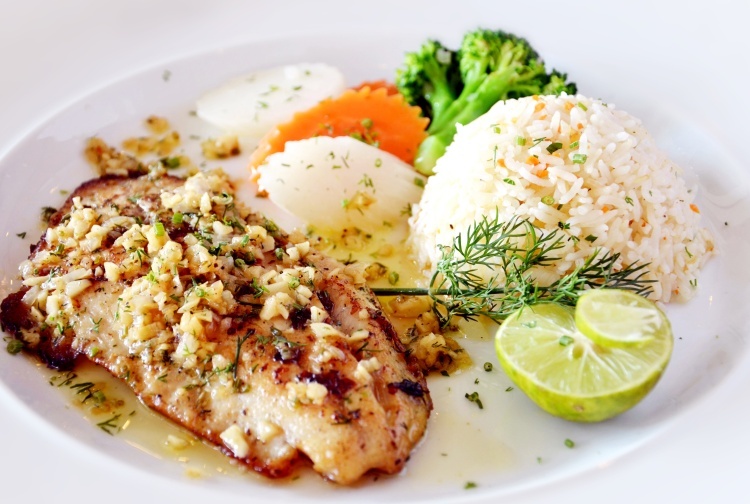 Finally, the last meal, often called pre-competitive meal, is the most important. Generally, this meal takes place in the morning (breakfast) and therefore between 8 and 12 h after the previous meal. During this fasting period, the decrease in the muscular and hepatic glycogen reserves is quite significant, the hydration of the body is often lowered. In the end, it is advisable to bring digestible foods to go up the stocks of glycogen and drink to rehydrate the body. This meal should be generally taken 3 to 4 hours before the start of the competition and include foods with low glycemic index. Hydration is achieved by the regular intake of water in a significant amount (150 to 200mL, equivalent to about one glass of water). I recommend you to read the article on the different methods possible to realize this last pre-competitive meal (which is variable according to the schedule of its duration and intensity mainly but also your individual characteristics). In the final straight, the last three hours before the competition, the athlete must aim to optimize his hydration, maintain his energy reserves (especially glycogenic) and avoid hypoglycemia. Use an sports drink preferably composed of fructose and / or maltodextrin. I propose hereafter the two phases starting on a protocol of 6 days (can be lower to 3 or 4 days by essentially adopting only the second phase, very often for organizational reasons): J-6 to J- 4 and J-3 to D-1. The food plans (3000 to 4500 kilocalories) are differentiated from the “average” energy expenditure necessary to carry out your sporting event. I strongly insist on the notion of “average”, that the needs of each athlete are different. These food plans are general and not individualized, not taking into account your individual characteristics. They are given as an example, in a static and not dynamic, for a day lambda. Note: for athletes performing ultras (100km, ultra-trail, 24h, ultra-endurance …) or Long-Distance triathlons, Ironman, instead go on the basis of 4500 kcal. You have loved? Rate this article! Here is a dietary direction that I advise the week before your race, more adapted than the Scandinavian Dissociated Diet ! French Clinic and Sports Dietitian Nutritionist, I created this site to meet the needs of athletes in sports nutrition. You will find many free articles and home recipes. I also propose personalized diet plans for those who prepare a competition, seek a nutritional balance corresponding to their way of life and their sporting activity. If you want to be on top of sports nutrition, subscribe to my newsletter and receive EXCLUSIVE and FREE my new articles!